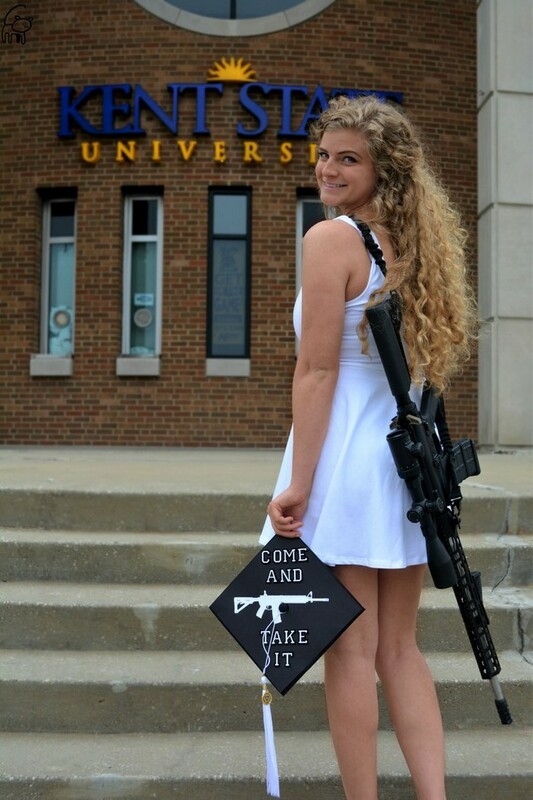 Houston Police Chief's Powerful Words: "Vote out politicians only offering prayers after shootings"
In a controversial move to raise awareness to the second amendment rights in Kent State University, former student, 22-year-old Kaitlin Bennett, posed in front of the campus with an AR-10 and a cap that read "come and take it". 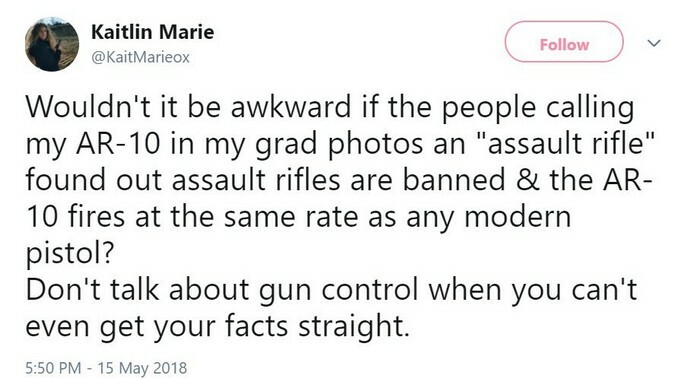 A former student of Kent State University sparked controversy after she tweeted a photo of herself carrying an AR-10 with a cap that read "come and take it". 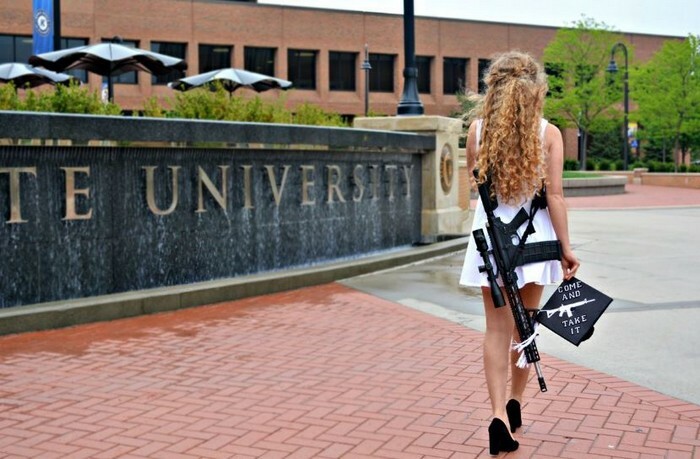 The conservative student, 22-year-old Kaitlin Bennett, expressed her support for the Second Amendment when she posed for the picture in front of the Kent Student Center. 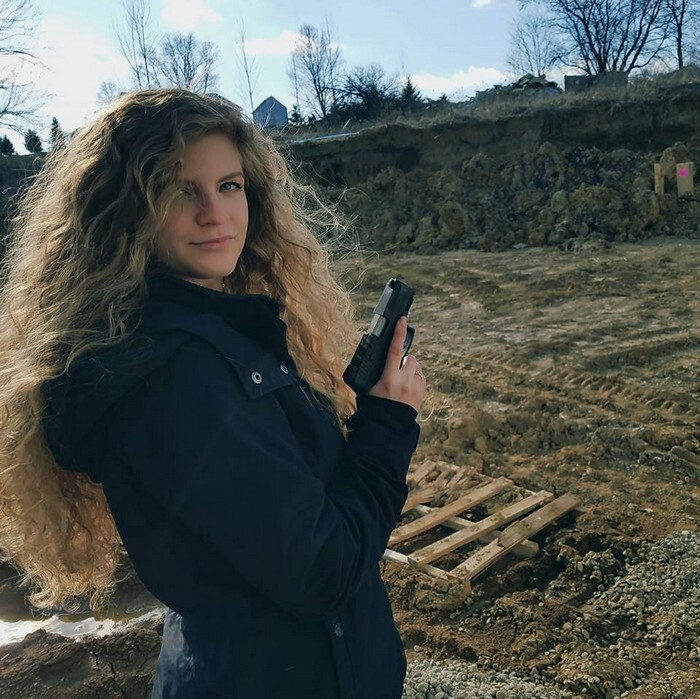 According to Fox News, Kaitlin was quoted as saying "I wanted to draw attention to the gun policies on campus that allow guests to open carry, but not students. I find it insulting that the school values the lives of their guests more than those attending the university for four years". In her explanation to the protest, Kaitlin was referring to the Universities policy of students and staff not being allowed to carry weapons, and the fact that this does not apply to outside visitors. 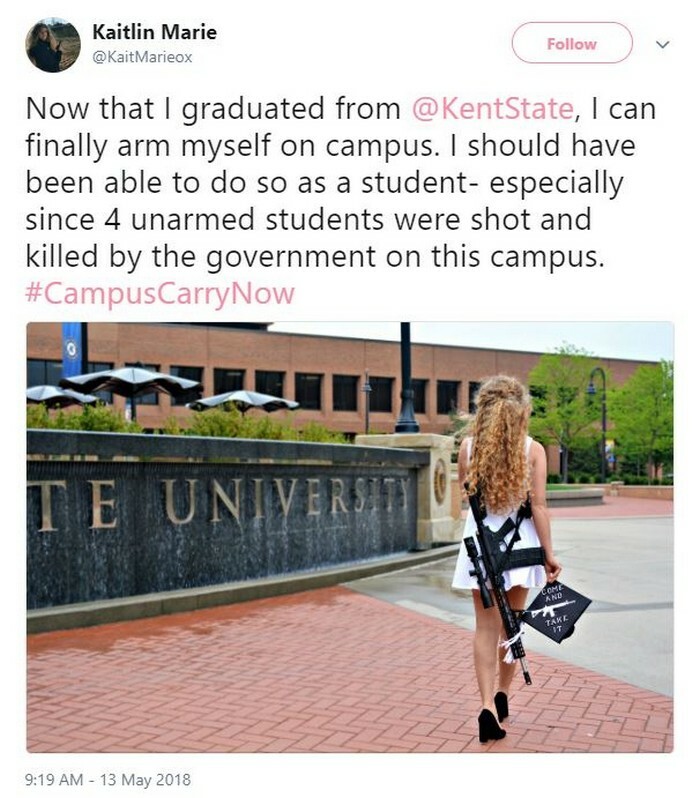 In response to Kaitlin's actions, Kent State University spokesman Eric Mansfield stated that there are over 30 sworn officers on campus at all times, and that the university has been ranked as the safest big college in Ohio recently.Following the backlash she received, Kaitlin said she has no regrets and proceeded to post another tweet that made it clear that she did not carry an assault weapon, like many accused her.